At the edge of the forest, next to the N118, the ibis Paris Meudon Velizy hotel is located on the Vélizy Inovel Parc business park. 6.2 miles (10 km) from the Porte de Versailles and close to many visitor attractions: Château de Versailles, Sèvres porcelain factory. It offers 94 air-conditioned rooms that are open for booking, La Table (a restaurant specializing in French cuisine), a 24-hour bar and a conference room. The hotel is equipped with fiber-optic WIFI and private undercover and outdoor parking. The ibis Paris Meudon Velizy and its staff have gained a lot of experience with arranging meetings, conferences, trainings and all sorts of events. Offering conference facilities including 1 meeting room the hotel has been used as a conference hotel in Meudon La Foret on a regular basis. 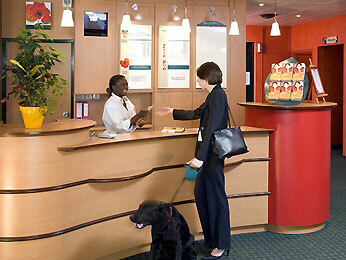 Please also have a look at the other conference hotels in Meudon La Foret which we are proud to present to you.